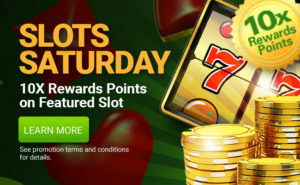 The weather outside is frightful, stay in and enjoy FREE SPINS from February 09-14! Get 25 spins on the $1,000,000 Slot Machine with a deposit of $50, or double down with 50 spins for a $100 deposit! Use code BLIZZARD1, deposit $50 & get 25 spins on the $1,000,000 Slot Machine. The promotion is valid from FEB 09-11, 2019. 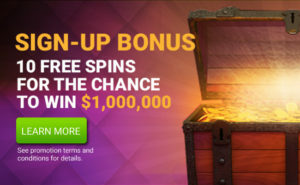 Use code BLIZZARD2, deposit $100 & get 50 spins on the $1,000,000 Slot Machine. The promotion is valid from FEB 12-14, 2019. Each deposit code can be used only once per player during the promotion period. All terms and conditions of the Million Dollar Slot apply. 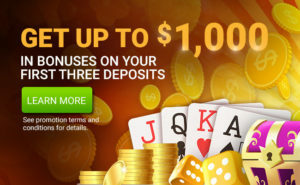 The deposit code can only be used once per player during the stated promotion period. Promotion runs from FEB 09 and ends on FEB 14, 2019 at 11:59 PM ET.